One evening, earlier this spring, I was mindlessly scanning social media after my kids had gone to bed. One post in particular caught my eye. 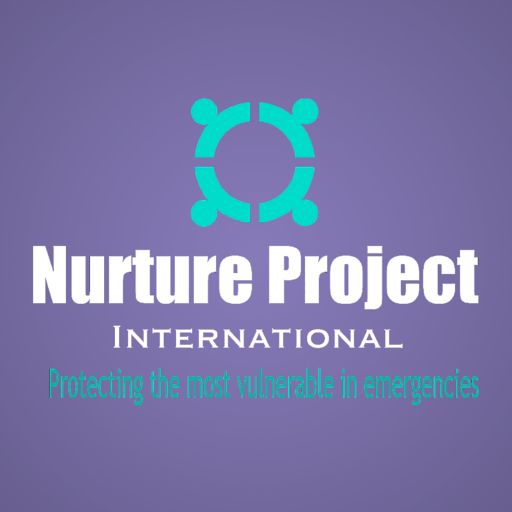 Nurture Project International, a US-based, grassroots, non-profit, was looking to fill the volunteer position for Infant and Young Child Feeding Coordinator to lead their efforts supporting Syrian refugee families as part of their Greece Response Program. As you might already know, since the beginning of the Syrian Civil War roughly 5 years ago, it’s estimated that more than 10 million Syrians have been displaced from their homes. At last count, there are 62,000 refugees in Greece and more than half are women and children. The need for support is dire. And so I read and re-read the post, my heart went out to these families, but nevertheless I continued scrolling thinking that there was no way I could (should?) leave my family and business for the required six week position. Sure the opening was for someone with the IBCLC credential (me) and the availability (me), but this wasn’t for me. I figured they’d find someone else. A few days later I was chatting with my husband about the position. “They need someone, but I know *I* can’t go. They’ll find someone”, I said. And without missing a beat, his reply was, “You should go. Go. Why not?” That’s when it hit me. It really was that simple. I should go, I thought. I need to go. Why not? Not five minutes later I was at my computer submitting my resume and references. An interview was arranged, my references so kindly sent glowing reviews and before I knew it I was accepted for the position. And so began the training’s, readings and preparation for six weeks in Greece as the Infant and Young Child Feeding Coordinator. Gulp. That brings us to today. In less than two weeks, I will board an international flight set for Thessaloniki, Greece. I will travel for nearly a full day changing flights twice in countries where I don’t know the language or culture. I’ll eat “bad” airport food, the flight will no doubt be cramped and I’ll lose sleep arriving to Greece groggy and somewhat bewildered. But I know, no I am certain, that I will be in far better shape than the families with whom I’ll be working. I don’t entirely know what to expect, but I do know that these innocent young families have likely been to hell and back just to make it to a country where they don’t know the language and culture, but are otherwise safe from the torture and war in their abandoned homeland. If I can offer just a modicum of compassion and support to their world, I’ll feel grateful for the opportunity. This work will be unlike anything I’ve ever done before as a lactation consultant. Infant and young child feeding in a crisis situation is a matter of life and death; these babies are our most vulnerable population and I feel obligated to lend my expertise for what is, after all, a really a short amount of time. Have you heard of Nurture Project International? It is a wonderful organization. I encourage you to read more about their mission and efforts. They are always looking for support. On their website they explain that “the Greece Response Program addresses a significant need among refugees/migrants in Greece for support in breastfeeding and infant health. Comprehensive, research-based evidence exists that confirms breastfeeding as a successful intervention to improve maternal health and to reduce infant mortality, particularly during situations of humanitarian crisis. Infants are extremely vulnerable in emergencies, with mortality rates skyrocketing during crisis, often a result of heightened risk of diarrheal illness which is one of the major causes of mortality in children under 5 years old.” Again, we are talking life and death for these families. Breastfeeding is an intervention for improved health. The need is great. I’ll add a few more thoughts as I realize this might be getting long winded. As I prepare for my trip I find myself immersed in the history of Syria and even moreso in the history of their most recent bloody and brutal civil war. I won’t pretend that I understand it all, but I’m trying. I’m pulled into reading all things related to the region in an effort to better understand the people with whom I’ll be working. I would do them a disservice if I didn’t make every effort to see the world from their eyes. I’m a western woman and they are Middle Eastern. Our culture, language and religions are different. We are so different. But here’s the thing that I’ve discovered along the way (and I presume will become even more apparent during my time in Greece)-we aren’t so different. We are humans. We are women on our long, rocky, rewarding, exhausting, confusing journeys through motherhood simply looking to offer a good life for our children. We want the same things: safety, compassion, health, and comfort. We deserve the same things. Safe and supported motherhood is a human right after all. All of this to say: this is why I’m going. I have a skill and I can make the time. These families deserve my help. I can be a small part of their new life. I can provide some safety and support through safe infant and child feeding. It’s with the support of friends, family and even past clients (thank you all for your generosity!) that I head out on this humanitarian trip. My partners, Amy and Trish will take great care of Tampa Bay’s breastfeeding families while I’m gone and my husband will rock single parenthood I’m sure. I look forward to sharing more once I’m on the ground in Greece. I hope you’ll check out Nurture Project International and get/stay involved in the ongoing European refugee crisis. It’s worth all of our time.